These aromatherapy shower steamers recipes and blends are just what you’re looking for. You can make these easy shower fizzies to invigorate or soothe. Let’s get started. It’s no secret that there are people who do.not.take.baths.ever. Unless I’m in a very relaxing setting (a.k.a. vacation), I don’t. And 99% of the bath bombs I make are for my daughter, friends and family members, or to be given as gifts. But that doesn’t mean I don’t take part in the benefits of healthy scents of aromatherapy shower fizzies. Just this morning, I combined two: a strawberry fields blend (strawberry + lemongrass) and a coconut. It was heaven and was the perfect thing after an early morning workout. 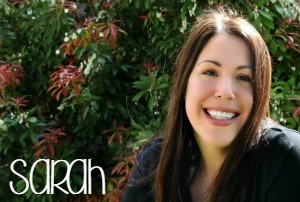 So I’m going to share a bit about these fun and beneficial additions to your DIY beauty and bath arsenal. There isn’t a specific amount I will give you for each of these, though I will say I list them in decreasing order. As you can tell by the shower steamer ingredients below, you can use much more scent oil in shower steamers. 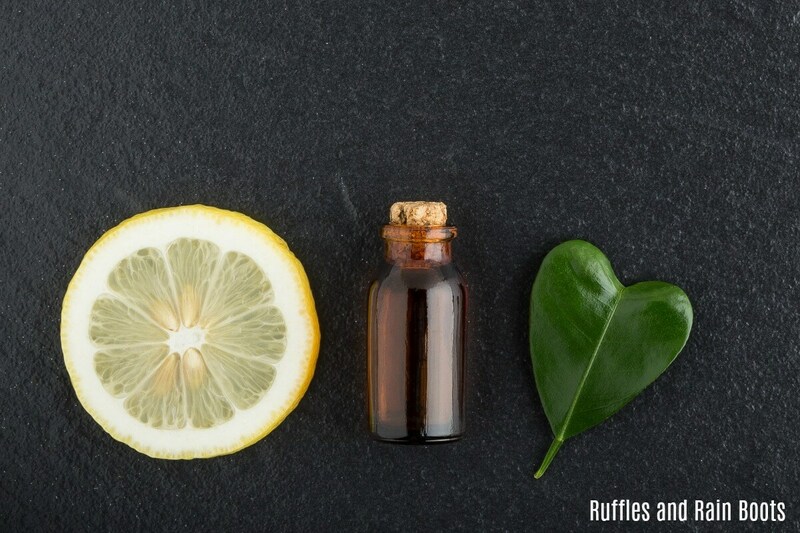 If you’re the type to take quick showers and want a big aromatherapy benefit during that time, this quick-acting shower steamer recipe is for you. Note: you can bake the shower fizzies at 350 degrees for 10-20 minutes, however, this is unnecessary unless you live in a very humid climate. 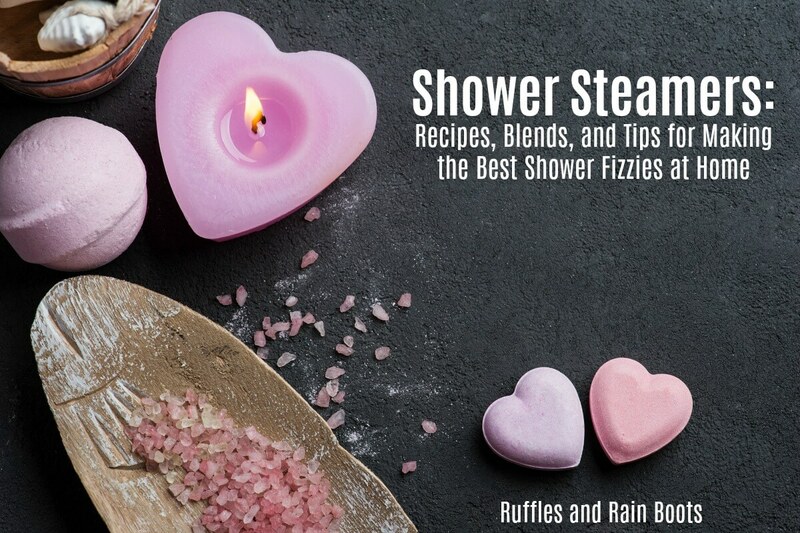 These aromatherapy shower steamers recipes and blends are just what you're looking for. 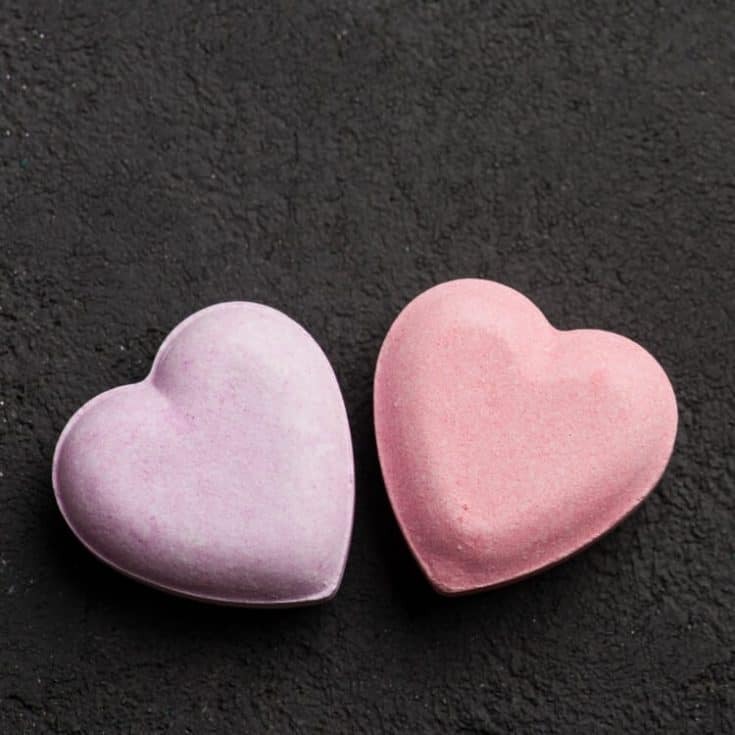 You can make these easy shower fizzies to invigorate or soothe. Mix the baking soda and water together into a paste. Add 25 drops of essential oils. Note: if making bath bombs, this recipe will not work. Pack the shower steamer mix tightly into a silicone pan. Let dry overnight in the mold and then another 24-48 hours to harden. You can bake the shower fizzies at 350 degrees for 10-20 minutes, however, this is unnecessary unless you live in a very humid climate. 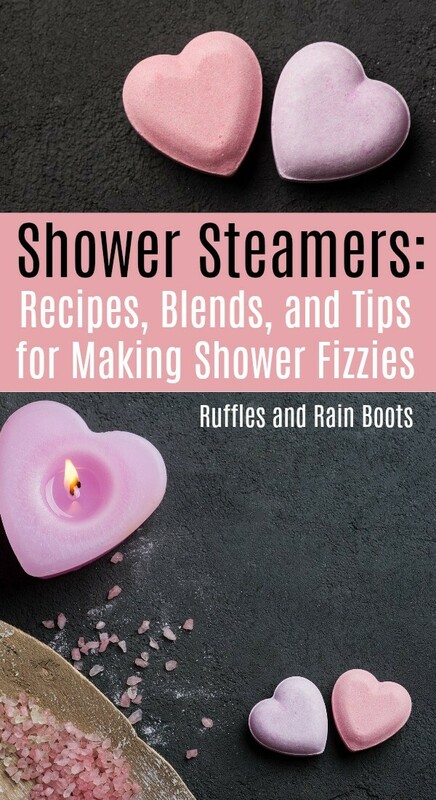 If you’re more the type to languish in the shower (or want shower steamers to last more than one shower), this long-lasting shower steamer recipe is for you. Mix the baking soda and citric acid together. Wear gloves if mixing by hand. Incorporate the oils. Once everything is mixed, spray the witch hazel (between 5-10 sprays). The mixture is ready when you can press it together and it keeps its shape. Press the mixture in your mold and pack well. Which recipe and scent combinations will you try first? Right now, I have a few strawberry, coconut, and peppermint blends to get through before I make any more.